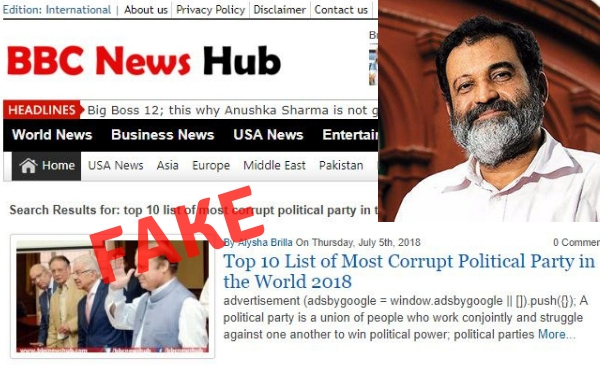 Former Infosys Board member Mohandas Pai tweeted an article from a fake news site. The site which is a copycat of BBC routinely shares fake news. 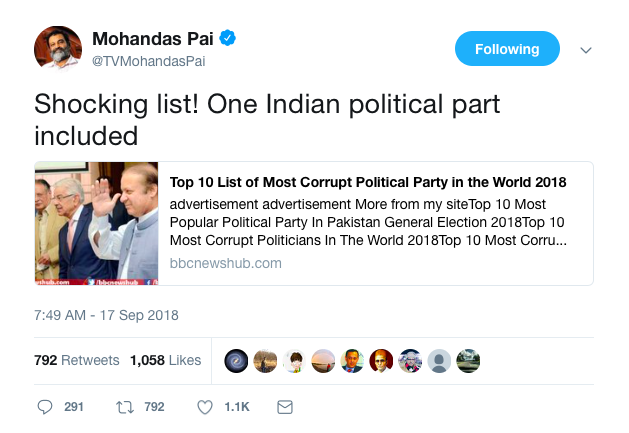 Former Infosys director Mohandas Pai shared a post from a fake news website listing the “Top 10 list of Most Corrupt Political Party in the World 2018”. The list was published on a site bbcnewsshub which is not connected to the original news website BBC.com. Several Twitter users pointed out that the website is a fake news site. While Pai initially accepted that it is fake, he refused to delete the tweet despite being requested by a senior BBC editor Trushar Barot to take it down. However, the tweet was later deleted. The story on the fake site titled, “Top 10 List of Most Corrupt Political Party in the World 2018” lists the Indian National Congress in second place with other parties like the Nazi Party, Pakistan Muslim League Nawaz, National Fascist Party among others with many of the political parties now defunct. The site ‘bbcnewshub’ has in the past too shared fake posts, one of them claiming, Narendra Modi is the ‘7th most corrupt prime minister in the world in 2018’. Pai, who is also the chairman of Manipal University in Mangalore and a former Director at Infosys, also argued with other senior journalists who pointed out the futility of sharing news from a fake news site. 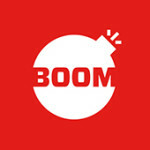 BOOM contacted Pai who said it did not matter to him whether the site was a fake one or genuine. 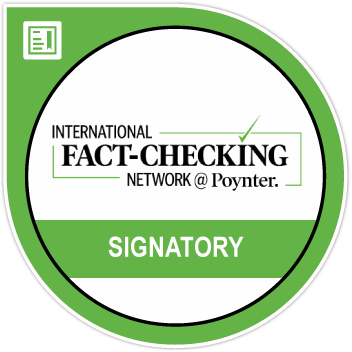 “The information on the site is what matters. It has a list of political parties who are known to be corrupt. Most of them are 50 years old. All data points that they are corrupt. How does it matter whether the site is fake or not,”he said. He added that he “knew” it was not a BBC owned site. “I know BBC has never published such a list nor will it ever do so. I am not stupid to think BBC has such a list. But for me the content and the names on the list are enough because they match accessible data,” he said. Pai’s tweet has been retweeted over 800 times with over a thousand likes. The British Broadcasting Corporation is a favourite and frequent target of the fake news brigade. 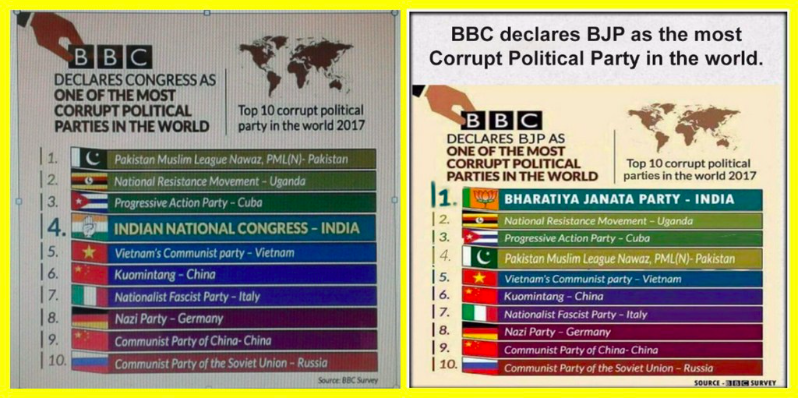 In the past separate fake BBC surveys claimed the Congress and later on the Bharatiya Janata Party (BJP) were voted the fourth most corrupt party in the world. Editor’s Note: An earlier version of the story had described Mohandas Pai as former Infosys Chairman. We regret the error.